As someone who is not very visual, I’m so glad I learned how to use sensory memory to help me use memory techniques better. But at first, it was really hard coming to grips with the fact that I don’t really see pictures in my mind. After all, how is a “Memory Palace” supposed to work if you can’t “see” images in your imagination? 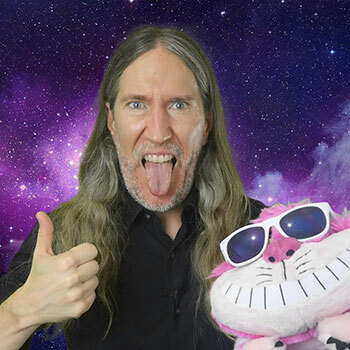 Well, whether you’re low on the visual scale, like me, or have full-blown aphantasia, I’ve got 5 simple memory tricks. Each involve a different kind of sensory memory you can combine with your Memory Palace Network. These tricks will help you create and use Memory Palaces and your own mnemonic examples (a.k.a. Magnetic Imagery) quickly. And more importantly than learning to create a Memory Palace Network and mental imagery quickly, you’ll use sensory memory to make the information stick in your mind. It’s actually very easy. There’s going to be some people who will still insist that they can’t do any of these exercises. If that’s you, keep reading until you reach the final tip. Few, if any, will find an excuse for the final tip I’ll share. It’s true. I don’t really see pictures in my mind. Although it’s not true that I see nothing at all, if anything, I find what I do see almost useless, if not distracting. I say “some sense,” because even with our current technology, it’s not possible to peer into anyone else’s imagination. Anyhow, if you know the Magnetic Memory Method Podcast, you may have heard some of these conversations before. If not, I recommend you listen to some of them – I’ve learned a ton that have improved my practice and even re-listening to some of them will help your practice too. Of course, you need to listen to these episodes with yourself in mind. Because at the end of the day, it doesn’t really matter what others do in their minds. Each of us experiences only one mind – the mind we’ve been blessed with. But I understand that some people currently have miserable experiences, and not being able to use memory techniques must be very miserable indeed. Think about a familiar place. Take your school, for example. “Render therefore unto Caesar the things which are Caesar’s, and unto God the things that are God’s”. He used to say this every time we were supposed to hand in our homework. I have an idea of what the classroom looked like, and since he was a big fellow, I have a general sense of his physical presence. But it’s his voice that really stands out. Likewise, I think of my various band teachers and can even place where different sections of the orchestra were in the different rooms without needed to render a visual picture. There is a way to turn this into a picture that requires zero visualization, but we’ll get to that soon. For now, is this a cool memory trick or what? The more you focus just on sounds, the more you’ll explore powerful dimensions of your memory. Let’s go for something soft with this exercise. When I completed this exercise, I thought of my Cheshire cat. I’ve had two in my life – once from when I visited Disneyland around age 10 and one my mom sent me just a few years ago to fill in the gap. I had to get rid of the old one during one of my epic moves around the globe. Thanks, mom! In terms of the Memory Palace this brings to mind, it’s not Disneyland, though I have used parts of the park as a Memory Palace. Rather, in this case, I think of the plane ride home. Now, you might think that an airplane is not great Memory Palace material. Au contraire, and we’ll talk about using them one day soon. Make sure you’re subscribed for when the day comes. To make this brain exercise work, I really dig into what that felt like in my memory. Then I dig further. And there are indeed other physical sensations related to flying that come to mind. Suddenly, all kinds of sensations emerge when you complete this simple memory exercise. When I completed this exercise, all kinds of flights I’d forgotten emerge. Write the ideas that come up into a Memory Journal and include all the sensations you can think of. Think of it as a kind of personal, private sensory memory test. When I completed this exercise, I found myself with oodles of airplane and airport Memory Palaces to work with along with a wide variety of sensations. Memory exercises like these are the closest thing to real magic that exists, don’t you think? Especially when used in the context of these additional recovered memory exercises. 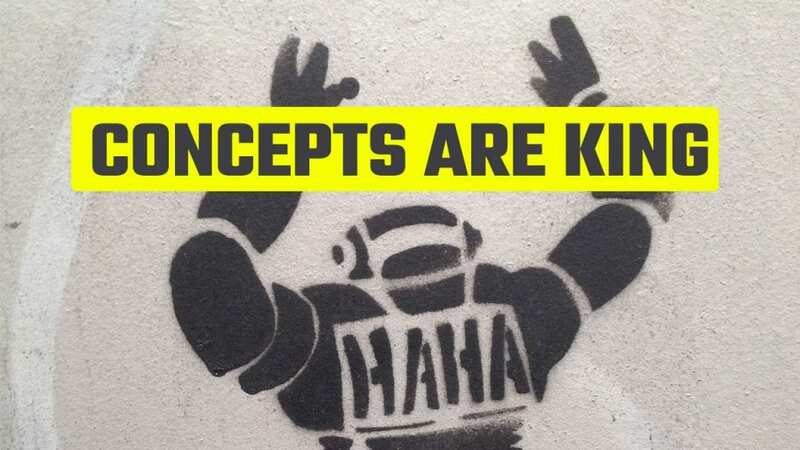 In a nutshell, this exercise helps you explore what you think and remember conceptually. Now, this one is a bit of a stretch, I’ll admit. But stretching is good. Start with one of the most basic concepts: Truth. What comes to mind when you think of the truth? And when I think of libraries, a ton of them come to mind. In fact, I’ve worked in three of them, and studied in dozens more. Each make great Memory Palaces. Next, think of a concept like justice. During high school I once wound up in the drunk tank. It sucked back then, but makes for an interesting Memory Palace now. I took law in high school and observed a few court cases too. I had a friend who was a lawyer before he went to the great Memory Palace in the sky and he comes to mind too – all from thinking about the concept of justice. The concepts of math, chemistry, weather all bring multiple associations – and not a single one of them can be seen visually, strictly speaking. And thinking about Einstein for math, Breaking Bad for chemistry and a meteorologist I know named Dave don’t require me to make mental images either. Remember: lowering the cognitive load always helps you learn faster and remember more. I’ll bet at least one person in your family has some kind of secret recipe. And even if it isn’t secret, there’s a dish they make really well that you adore. Maybe even something based around foods that improve memory. Now, although I can’t eat a large number of things I used to love, my mom’s zucchini bread comes to mind. My dad also makes a mean spaghetti. 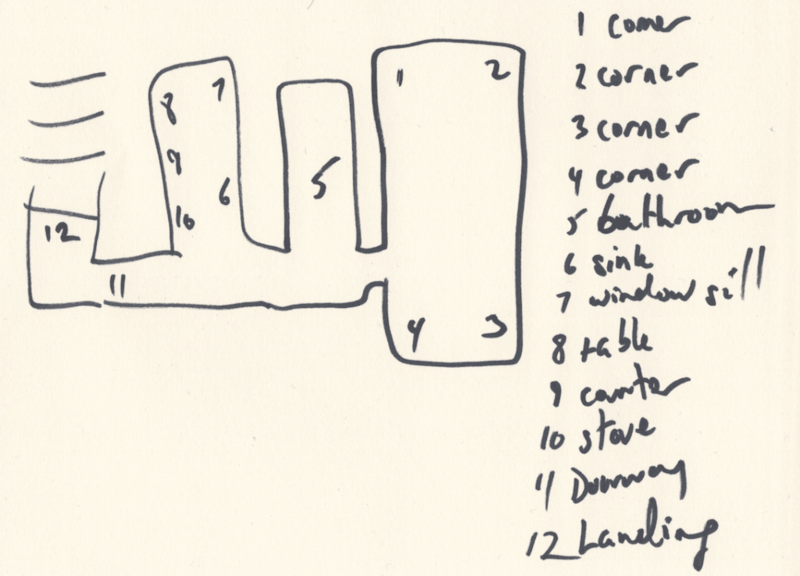 And since we moved around a lot, quite a few kitchens come to mind for use as Memory Palaces. Then I think of a few romantic meals I’ve had over the years. These took place in buildings ranging from the CN Tower in Toronto to the Pizzeria Monte Carlo in Rome. 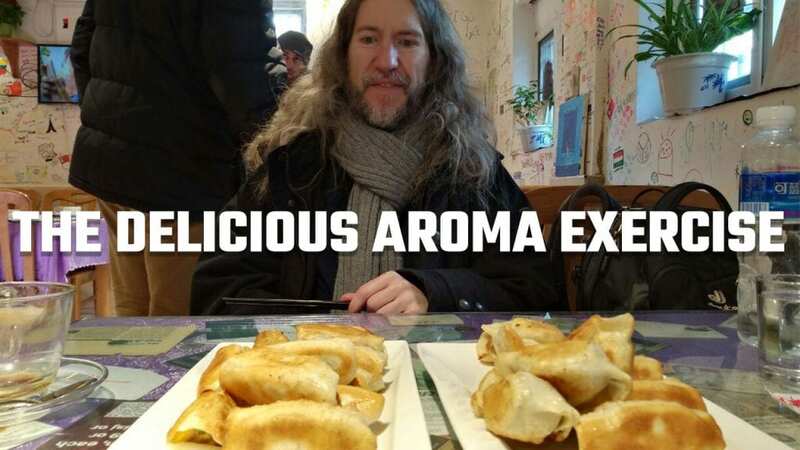 Even as someone who isn’t a foodie, there are oodles of tastes and aromas that come to mind all over the world. Fruit juices and dates in Cairo, Lingonberry jam in Sweden, dumplings in Beijing… all wonderful Memory Palaces just waiting to be unlocked from memory. I’ll bet you have dozens of options. What? How can you “un-visualize” something? Unless you’re dead-set against it, lazy or uninterested in the most miraculous memory tool in the universe, the answer is yes. All you have to do is draw your Memory Palaces. Instead of trying to juggle space in your mind, make it simple. Rather than trying to imagine the rooms and hallways and garages and driveways and all kinds of things that you might not be able to see clearly in your min, break it down into simple squares. When I first encountered memory techniques and the Memory Palace, I couldn’t fathom how on earth I was supposed to see myself moving through a building I wasn’t in. And that’s a very good thing, because the strange explanations I was reading prompted me to solve this issue for myself. I got my head out of the books written by memory competitors and I went deep into the history of these techniques. And reading between the lines of texts like the Rhetorica ad Herrenium, I discovered that they weren’t really talking about visualizing their Memory Palaces. And as soon as I got results from doing this, I couldn’t stop exploring! I am still amazed by just how many buildings I can visit in my mind. Making them visual simply by drawing squares on paper makes memory training so much easier. People with no hands can draw Memory Palaces with their teeth, their feet or even ask for others to help. I know this for a fact because I’ve had correspondence from people who can’t move anything but their mouths. Yet, each have created and used Memory Palaces by drawing them nonetheless. Of course, if you don’t want to join the great memory tradition, no problem. I don’t want to learn how to pack a parachute and jump out of a plane. Some things just aren’t for everyone. You really can rest assured that you can use memory techniques and they will work for you even without seeing pictures in your mind. In fact, due to an interesting turn of events, I wound up competing once at a competition with memory athlete and memory expert Dave Farrow. Based on that experience, I can tell you that there’s really no time to create pictures in your mind when the cameras are rolling and the clock is on. Especially as someone completely unprepared and with zero competition practice, history or particular interest in throwing down the gloves. So even if you are hyper-visual, you’ll want to consider the advantages of adding these other senses to your memory practice. Can you imagine yourself moving from a purely visual approach to using memory techniques to a multi-sensory approach? 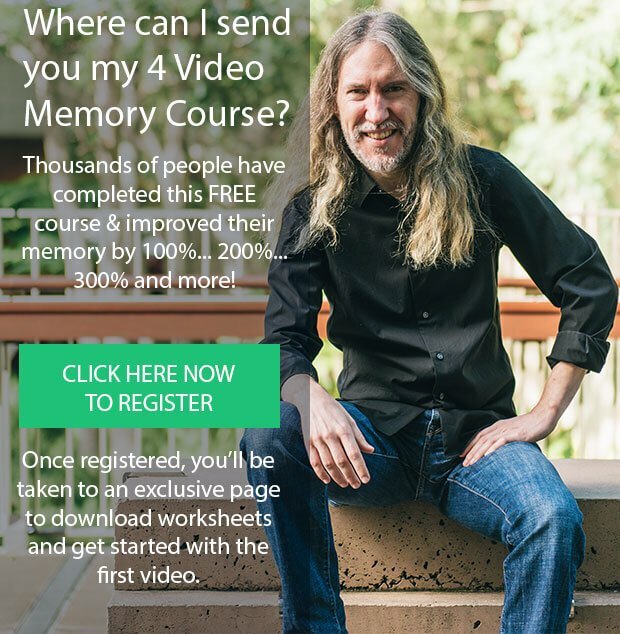 I promise you’ll enjoy better results from memory techniques as a result. And if you need more, here are 5 Memory Palace Examples to improve your memory training practice. 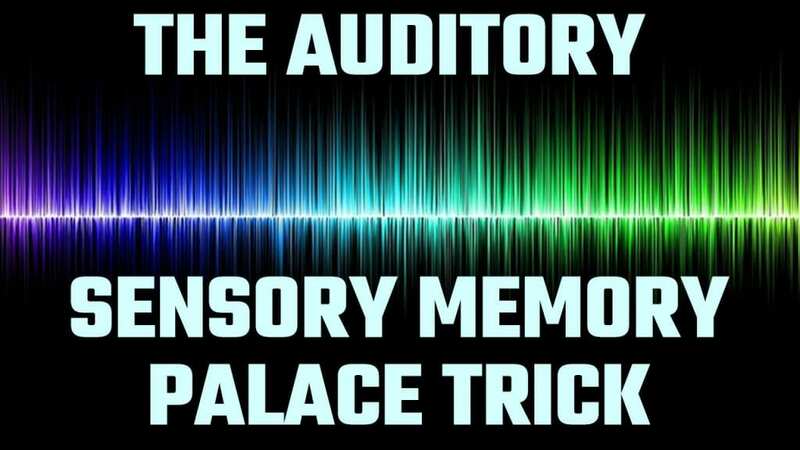 The post 5 Sensory Memory Exercises For Better Memory Palace Success appeared first on Magnetic Memory Method - How to Memorize With A Memory Palace.